Taking on the title of “Global Ambassador” while abroad has been an awesome experience, I get to document my study abroad experiences and share them with all of you. While a large part of study abroad is traveling, hence the “abroad” piece, you can’t forget about the “study” piece of it as well (unfortunately). 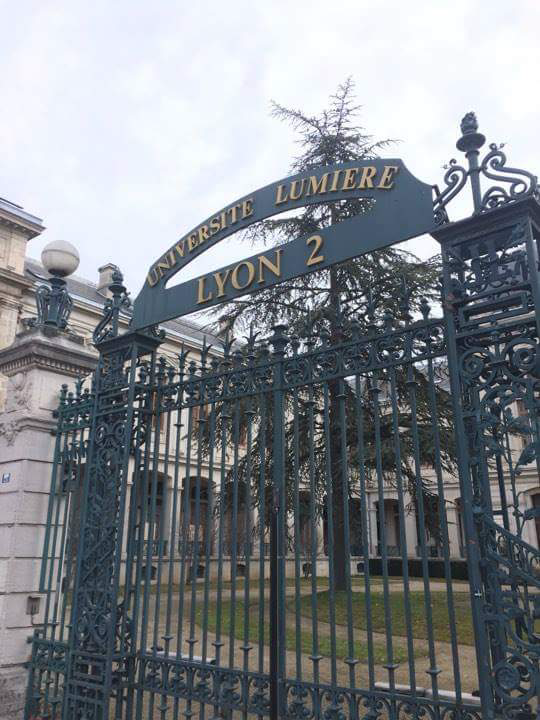 In Lyon, I am enrolled at L’université Lumière-Lyon-II where I have been studying french (sounds quite posh, no?). Here I have been studying intensive (seriously) french and getting a true sense of the French university system. 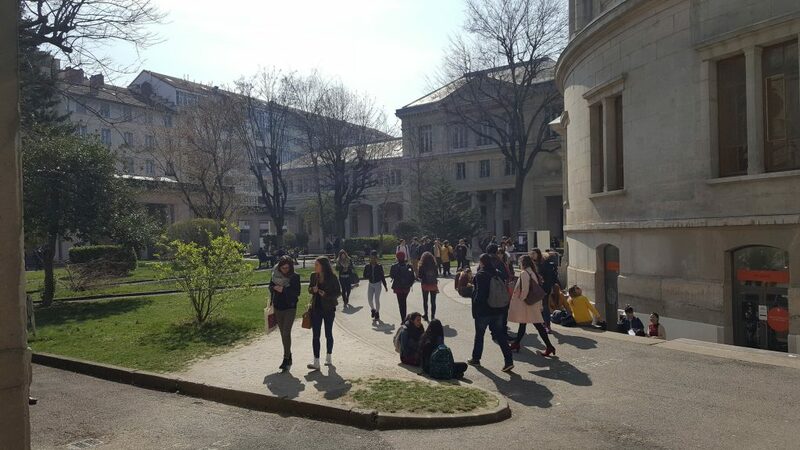 There are some major differences between french public universities and american public universities, for example: in the US, you technically only take on average 5 classes that meet 2x per week, which results in about 10 periods of class time per week. In France, you take on average 10 classes, but those classes only meet 1x per week so it comes out to about the same amount of meeting times. Another major difference is the length of the class time, classes in USA are on average 60 minutes long, in France, they are on average about 105 minutes long. It seems long but classes tend to go by quite fast, professors here really utilize that time the best way they can. Classes are very interactive and require a lot of input from students, I enjoy them very much and they do not feel like they are 105 minutes long. This university is a popular one for study abroad students across the globe, I have met many other international students here. I have class and have made friends with students from Colombia, Vietnam, Albania, South Korea, Zimbabwe, etc. The awesome thing about this university is there is a true sense of community here, I have met some of the friendliest people at school and have made real lasting connections. Even though the studying part isn’t always the best, USAC’s program in Lyon has really made it such an enjoyable experience. 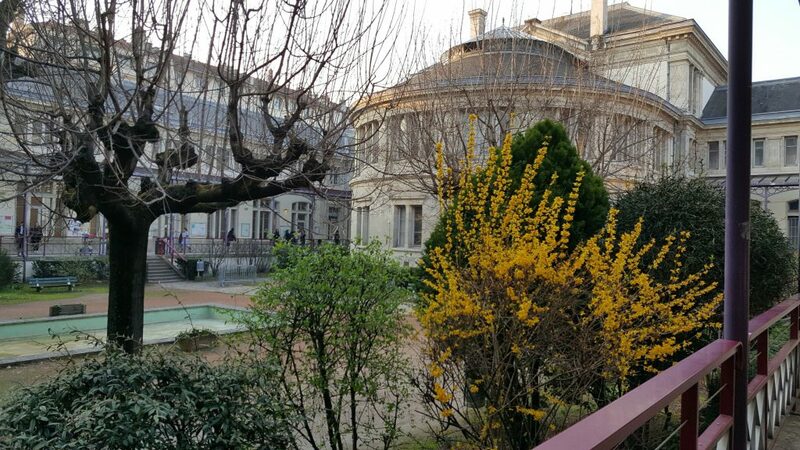 UL2 is a beautiful school in the heart of Lyon, the students and staff are all super friendly, the classes are interesting and you learn so much french. Getting up and going to school everyday has become a part of my day I truly enjoy. This entry was posted in Uncategorized by kathryn_stewart@student.uml.edu. Bookmark the permalink.